Still meandering icy sidewalks I couldn't help feeling spring is finally on it's way when the sun shined all of 15 seconds. What's still hanging around with all the leftover snowbanks... blah, dehydrated skin. Which is why spring has always been a major shake it up in the skin stash department time of year here. Recently something new, from across the pond, popped up in Sephora. Radical Skincare. A line I learned about a while ago from English friends and who's founders, Liz and Rachel's work at Virginia university's burns unit, incredibly inspiring. The two I've been recently testing with glee are their Age-Defying Exfoliating Pads and an Instant Revitalizing Mask. Starting off with the Age-Defying Exfoliating Pads, which use fruit acids to tighten and firm the skin along with reducing pore size and any fine lines creeping up. Scrubby pads have been a favorite for ages but one problem, along with stinging, has been their drying up before you're even half way though. Sometimes when you open the container for the first time they're already parched. 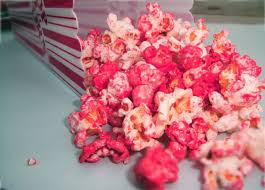 Not these by Radical. They're sopping wet all throughout and delivered a nice primer before serums and creams. For a few years now it's been suggested I add AHA fruit acids to my skincare regimen but always shied away because of the irritating stinging. Not only were results immediate with zero sting but these have done something nothing has been able to do prior, banished flaky winter skin completely. Their doing this really did not dawn on me until I was smoothing on some foundation on a bitterly cold day and it went on smooth. Yes, these are awesome! Some might know my slight addiction to weekly oxygen facials which sadly have been put on the back burners. 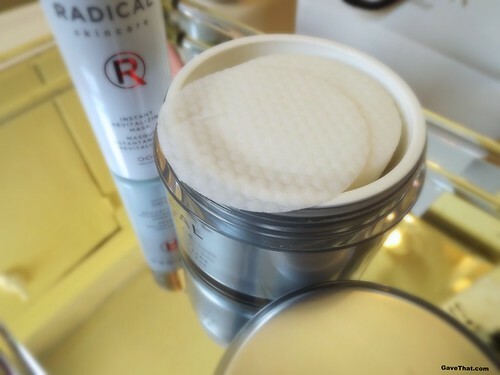 Radical might have actually found a way to bottle them with their Instant Revitalizing Mask. This one really caused some surprise. A milky, slippery lotion texture which turns stark white as it dries on the skin, this mask actually starts crackling and popping as tiny bubbles burst all over the surface of your face. A champagne facial of sorts. You just have to try it to understand. Smelling a tad lemony this mask actually felt as if it could be used to perk up the skin in the mourning. Especially after I saw someone with beautiful skin doing this with a green clay mask in the shower. Alas this particular mask leaves me too flushed for the mourning routine but it's great at night when, after hours of decent rest, the next day you're left brightened, not red thanks to antioxidant ingredients such as green coffee, ginger and vitamin E.
With a birthday coming up I'm so going back to check out the rest of the Radical Beauty line, VIB card in hand. 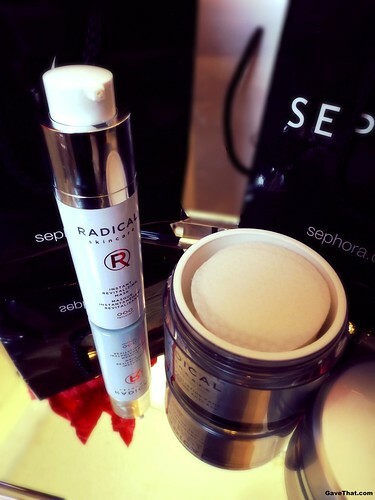 Stay tuned for more spring beauty finds including Radical's new serum! 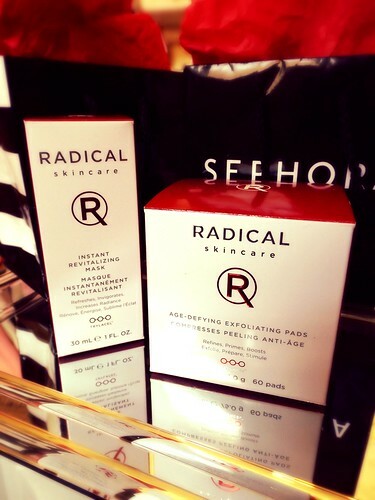 You can find the mask and the pads here online at Sephora. PR samples c/o Radical Skincare, thank you Liz and Rachel!